The long awaited season has arrived – time to leave the snow shovel in the shed (fingers crossed) and start thinking about green and growing things. Here’s a selection of some of our newest gardening books. Beautiful Edible Garden by Leslie Bennett shows how to not only grow organic fruits and vegetables, but also make your garden a place of year-round beauty that is appealing, enjoyable, and fits your personal style. 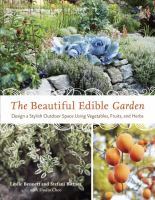 Artfully blending edibles and ornamentals together, this book demonstrates that it’s possible for gardeners of all levels to reap the best of both worlds. 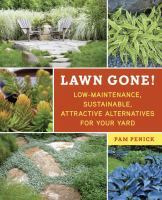 Lawn Gone by Pam Penick – A colorful guide covering the basics of replacing a traditional lawn with a wide variety of easy-care, no-mow, drought-tolerant, money-saving options that will appeal to today’s busy, eco-conscious homeowner. 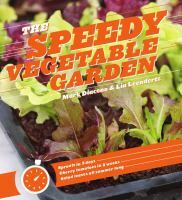 Speedy Vegetable Garden by Mark Diacono explains how to sow, grow, and harvest soaks and sprouts, micro greens, edible flowers, salad leaves, and quick-harvest vegetables, as well as recipes that use them. 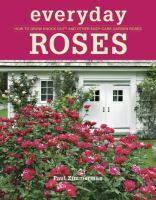 Everyday Roses by Paul Zimmerman debunks common rose myths and outdated care instructions, and instead imparts practical rose care advice in a fun and accessible voice. Readers will find helpful suggestions for choosing roses based on landscape need, tips on what to look for when buying roses, new techniques for the best way to plant roses, and sensible time-saving methods to maintain their roses throughout the year. 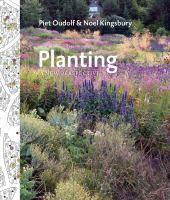 Planting: a New Perspective on Combining Plants by Piet Oudolf explains how plants behave in different situations, what goes on underground, and which species make good neighbors. Planting is an essential resource for designers and gardeners looking to create plant-rich, beautiful gardens that support biodiversity and nourish the human spirit. It may not always feel like it yet, but spring officially arrives at 12:32pm on March 20th. Time to start planning your garden! With all the emphasis on organic, local foods, back-yard gardens have become all the rage – even the White House has a vegetable garden! There’s a big crop of new titles, whether you’re new to gardening or would just like to pick up a few tips. One Magic Square: the Easy, Organic Way to Grow Your Own Food on a 3-Foot Square by Lolo Houbein. This book specializes in getting the most out of the smallest plots – best varieties, space-saving tips and sustainable practices. Multiple examples of Magic Square plots are shown including the Antioxidants Plot, the Curry Plots, and the Summer Stir-Fry Plot. Completely organic. Grow Great Grub: Organic Food from Small Spaces by Gayla Trail. This beautifully illustrated book gives you lots of basic information, presented in a friendly, no-nonsense style. In addition to the expected vegetables, herbs and edible flowers are also included. A chapter on preserving the harvest ranges from making a ristra and drying tomatoes in the oven to canning and freezing. Completely organic. Grocery Gardening: Planting, Preparing and Preserving Fresh Food by Jean Ann Van Krevelen. Three things make this garden guide stand out – the inclusion of fruit, the varied and interesting recipes and the nutritional information. While there is some brief information on planting your own garden, just having access to a Farmer’s Market is all you need. There are also tips on selecting quality produce. The Small Budget Gardener by Maureen Gilmer. 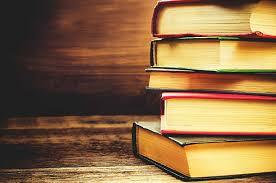 This book has one goal – saving you money – and they mean business. All aspects of gardening are covered, from how to plant trees to aid in energy savings, to recycling found objects into garden treasures. They also discuss the impact of technology on gardening, listing useful (free) websites, blogs and online newsletters. Sometimes it’s important to spend money – quality tools for instance – and Gilmer shows you what and how to buy. Tightwad tips throughout. Completely organic.